I am so very blessed. God has given me so much: a wonderful family, good health, a loyal and loving husband, and the talent of photography. It is only appropriate that I give back a portion of what I’ve been given. 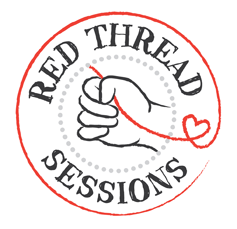 I’m fortunate to be a volunteer photographer with Red Thread Sessions, a not-for-profit service that matches adoptive families with local photographers. Families in the adoption process can document the special moment in their expanding family. I donate my services to families arriving home after an international adoption, at the birth of a newborn meeting their adoptive parents for the first time, or even for the first family portrait after a finalized adoption. I also volunteer through Adoption Resources of Wisconsin (ARW), where I document the special events hosted by ARW as well as working with families and individuals in the foster process. One special part of my job is to give portrait sessions to high school seniors who are staying with a foster family. I have also been privileged to photograph the events at the state capitol during the annual awards ceremony in 2012 & 2013 for the Wisconsin Adoptive Families and Volunteers of the Year. I have recently been accepted as a photographer through Now I Lay Me Down To Sleep, an organization that provides photography for families who are suffering infant loss. It is a difficult time but the images given to those families are so treasured. I travel to hospitals and client’s homes to capture a family’s hello and goodbye for their precious child. It is difficult but also such an important way to help those who are suffering life’s greatest loss.